England, 14th century. 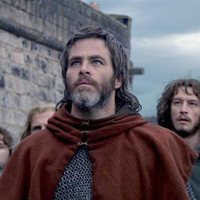 The English control all of Scotland with their army, and it will be his legit king, Robert the Bruce's (Chris Pine), task to return from exile to take back his kingdom defeating king Edward I of England's powerful army. 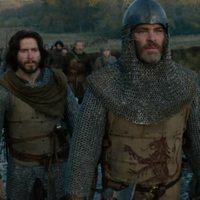 David Mackenzie ('Hell or High Water') directs this new adaptation of the historical events with Pine in the lead role, accompanied by Aaron Taylor-Johnson ('Nocturnal Animals'), Florence Pugh ('Lady Macbeth'), Callan Mulvey ('Batman v Superman: Dawn of Justice'), Stephen Dillane ('Darkest Hour'), Tony Curran ('Underworld: Evolution'), James Cosmo ('Braveheart') and Duncan Lacroix ('Outlander'). This film had its premiere in 2018 Toronto International Film Festival. 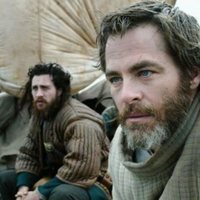 Write your own 'Outlaw king' review. The film premiered at Torono International Film Festival in Toronto, Canada September 2018. 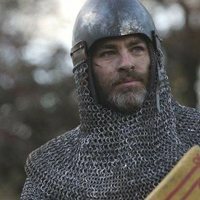 The film was released a year before another film adaptation of the history of Robert The Bruce, 'Robert the Bruce' which is a spin-off of Braveheart (1995) which Angus Macfadyen played the title character in both movies.